The pomegranate is a fruit full of properties which improve our health. For example, pomegranates can help prevent cardiovascular disease and reduce cholesterol and stress levels. The pomegranate is perfect to help us get all the benefits of a healthy life and help us prevent diseases. Pomegranates are a superfruit and their antioxidant levels are higher than those of other fruits and foods, such as grapes or green tea. 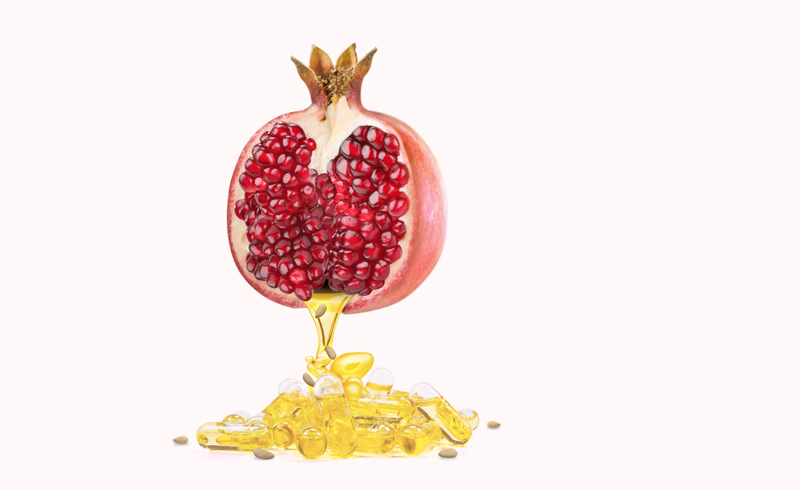 The fruit of the pomegranate is perfect to fight against the aging of the skin. 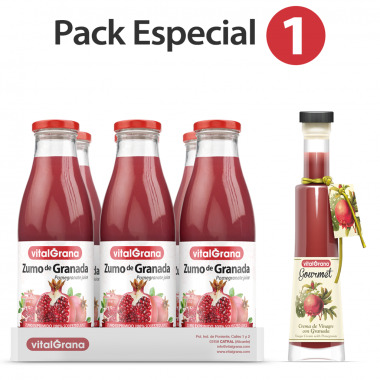 In addition, the pomegranate is rich in vitamins and minerals that help us maintain a healthy life. 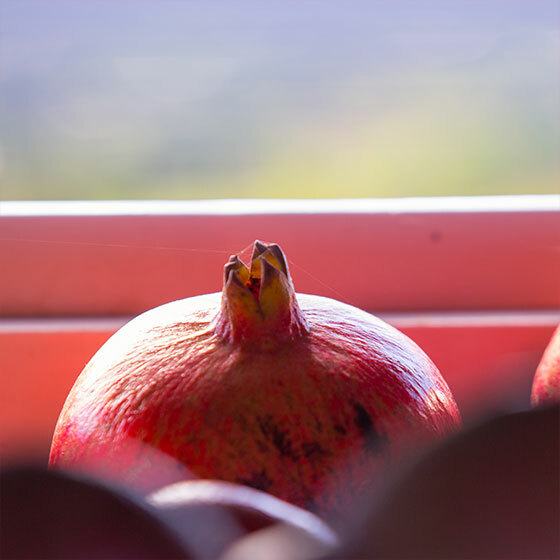 The Mollar pomegranate is the main ingredient of our juices. Its flavour, texture, colour and aroma give it body and contains a good portion of its nutrients! We grow them naturally, without pesticides, insecticides or chemicals so you can take care of yourself 100% naturally. 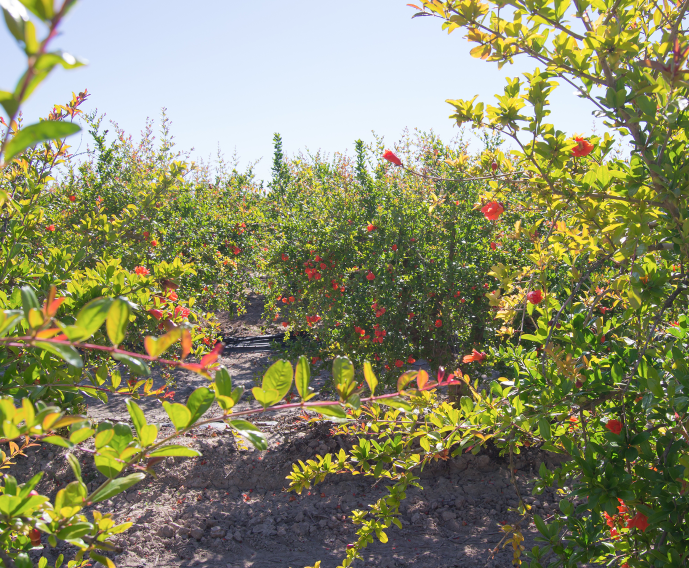 Wonderful pomegranate is our second ingredient. The great contribution of polyphenols gives it enormous antioxidant power and, when being cultivated naturally, helps in your well-being. When mixed with the Mollar we get a juice of a unique texture and flavour. Taking care of yourself will never have been so delicious! 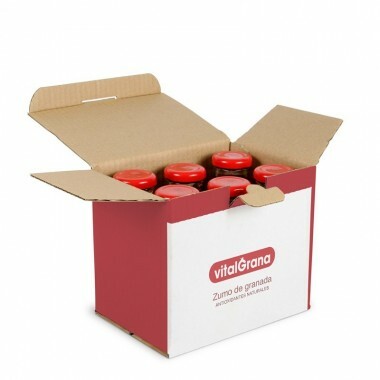 So that you can make the most of the pomegranate, at Vitalgrana we have created Vitalgrana Omega 5 pomegranate seed oil capsules made from organic seeds by cold pressing. An anti-aging treatment with antioxidant power that makes the most of this superfruit.